Mark your calendar for an awesome display of artwork by our very own DPS students! 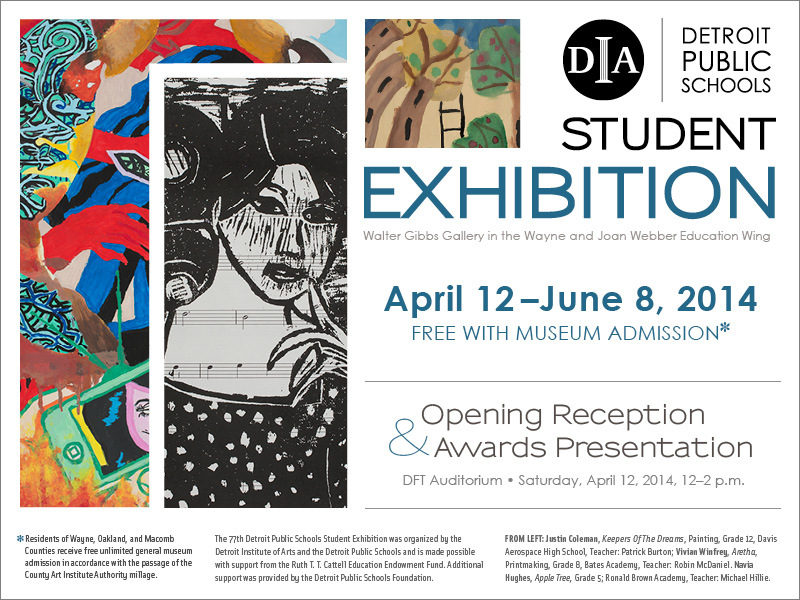 The 77th Detroit Public Schools Student Exhibition will be on display from April 12-June 8, 2014 at the Detroit Institute of Arts. The exhibition is free with museum admission. 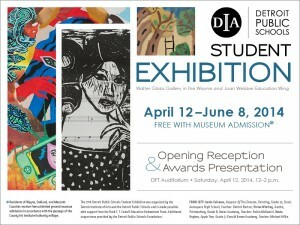 An Opening Reception & Awards Presentation will be held on Saturday, April 12, 2014 from 12-2 p.m. in the DFT Auditorium. The 77th Detroit Public Schools Student Exhibition is organized by the Detroit Institute of Arts and Detroit Public Schools. The event is made possible with support from the Ruth T.T. Cattell Education Endowment Fund. Additional support is provided by the Detroit Public Schools Foundation.